Great shape of the mouse and satisfying clunck of keys on the keyboard. Cheap cheap cheap. She didn't say anything about mouse/keyboard so this is what she gets. It works well, though for being $15. This is a placeholder KB/M, but it works fine, so I won't dock it any stars. Basic, super cheap, good enough for LAN parties or tinkering with a new build. 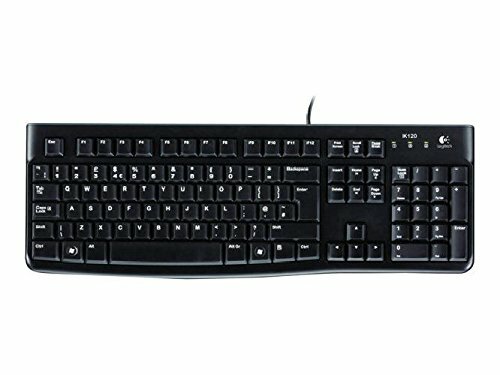 I don't have a spare keyboard at home, and all my mice are not working well, so this was the cheapest keyboard+mouse combo I could find. I prefer wired over wireless, although I am thinking to get a wireless keyboard once I connect the PC to my living room. The keyboard and mouse feel great to type and work with, and I am very happy with them. 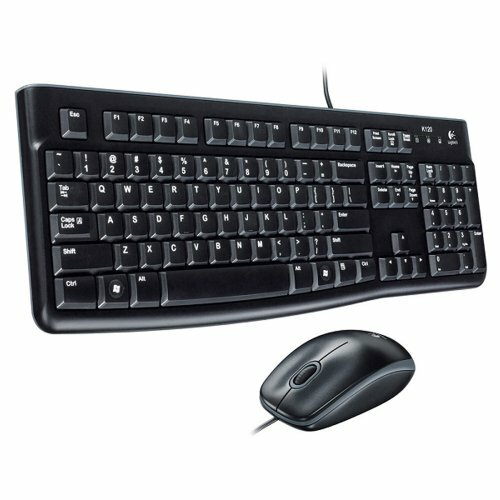 Keyboard/Mouse: Heck, it works and Logitech is a reliable brand. Good deal. $12 for the mouse and keyboard and they are just fine. A nicer mouse with a back button might be a future upgrade. I bought this so I could interface with my computer once it was built. The keyboard and mouse work great actually. I like the combo, and the price can not be beat. I am using both the keyboard and mouse as well as my Xbox One Elite controller for playing games.